Patty Parker and Frank Fara were delighted when former top Anchor Heidi Folgelsong of KTVK Channel 3 in Phoenix wanted to do a special news segment about Sedona Serenade focusing on the international interest. 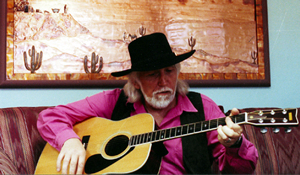 Arizona Songwriter Frank Fara and his Producer wife Patty Parker would be recording Jess Owen from England in Nashville singing their song about the world famous Red Rocks of Sedona. 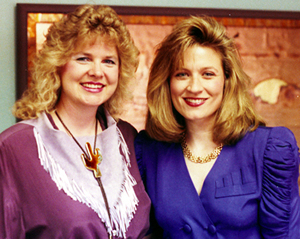 Heidi Folgelsong interviews Nashville Producer Patty Parker about producing Sedona Serenade. Patty & Heidi after the interview about Sedona Serenade which was a lot of fun and came out great! British country singer Jess Owen rehearsing Sedona Serenade for the news segment. 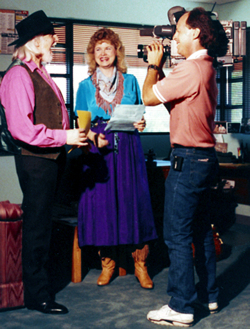 Patty & Frank arranged for Jess to visit Sedona prior to presenting him their song to record, so that he could be inspired to capture all the beautiful essence of both Sedona the place and the special song written for Sedona!! 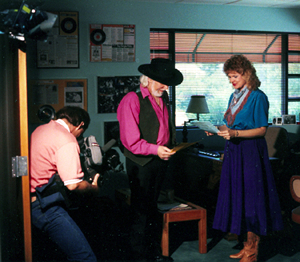 Patty Parker going over production ideas with Jess for Sedona Serenade as KTVK Channel 3 cameraman shoots some footage. Jess Owen & Patty Parker had fun filming the news segment and the cameraman captured the moment! 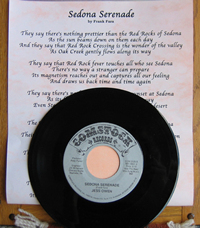 The completed recording of Sedona Serenade was first released as a 45 single. 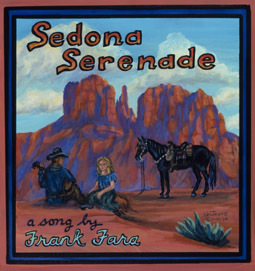 It is now available on the new Sedona Serenade Trilogy CD with three versions, the Country version by Jess Owen, a Jazz version by Patty Parker, and the original Americana version by Frank Fara the writer of this beautiful song.